Freelancers: Do You Know Your Legal Rights If a Client Doesn’t Pay? Freelancing offers more freedom than the usual 9-5 office job, but with this freedom comes the challenge of chasing invoices instead of just collecting a pay check at the end of the month. When handling your own invoices, there’s also the possibility that the client will simply refuse to pay. It’s unfortunate, but it happens. This can happen for a number of reasons; either they changed their mind about what they want and don’t think they should have to pay up for the work already done, or they’re just trying their luck to see if they can get away with paying you less, or not at all. Get clued up about your rights as a freelancer so you don’t get caught out by a rogue client. Start by sending a reminder email to the client. If this doesn’t get a response, it’s time to pick up the phone and give them a gentle nudge. This is often all that is needed to get a client to pay up, but many people avoid it because they are afraid of confrontation. Remember that you’re in the right, so you shouldn’t feel awkward about putting your foot down. If you don’t have a formal contract of Letter Of Engagement in place, you may still be covered under English Contract Law, but your position will be less secure. The best solution is to make sure you always have a contract in place before starting any work. Including a late payment clause in your contract will often be enough to prevent this problem in future, and if a client is reluctant to sign the contract this might be a warning sign. If referring to your contract doesn’t help move things along, make sure you remain civil and professional, even if you’re angry. If the client offers to pay a large portion of the invoice and you turn this down hoping to get the full amount, this may come back to bite you later in a small claims court as this would be considered turning down a reasonable offer. If you have a contract in place and the client is refusing to offer a reasonable amount and has, in turn, refused your counter offer, it might be time to seek legal advice. Keep accurate records of all correspondence and talk to a dispute resolution solicitor so you can understand your options. What if You Don’t Have a Contract? If you don’t have a formal contract or Letter Of Engagement in place, you may still be covered under English Contract Law, but your position will be less secure. The best solution is to make sure you always have a contract in place before starting any work. If you don’t have a formal contract, there are a few options available to you. First, refer to any emails which outline what work you agreed to do and how much you would be paid for the work. If you are owed less than £750, you can take them to a small claims court to recover the overdue money. An alternative is to take to social media and attempt to connect with other freelancers who may be in a similar position. Often, the unwanted publicity is enough to spur on the client to hand over the money they owe. Over to you – have you had problems with getting paid for your freelance work? Does a Freelance Writer Need a Contract For Every Client? How Does a Freelancer Ensure They Get Paid on Time? 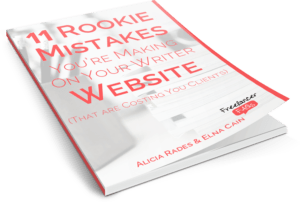 Do You Know How to Ruin Your Writer Website? Georgina Bullock is a freelance writer and research journalist, who specializes in a number of core areas, including business, law and property. Through studying journalism at university, Georgina was introduced to a number of contacts in different industries, where she was able to broaden her knowledge, whilst dealing with the trials and tribulations of being a freelance writer. Georgina is a regular contributor of content to Gorvins Solicitors, which is where she gained her knowledge of dispute resolution and now passes on to others who may find the information valuable. Thank you for the great Post !! But the problem is freelancing marketplace Authority don’t understand the freelancer pain.